Often times when it comes to a tidbit of knowledge, the author is more important than the message. People give weight to certain sayings and quotes simply based on who wrote them. But what about the unknown authors of the world? are their insights any less valuable? I think some of the greatest quotes I have ever read came fro sources that were either unknown or obscure. It’s not who said it, it is what was said that matters. 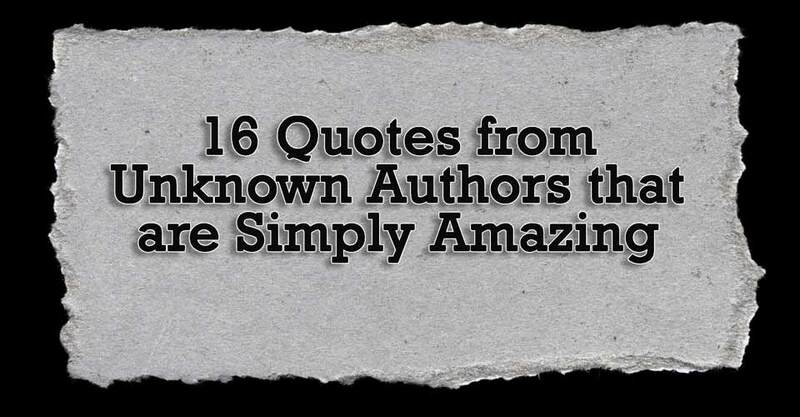 Here are 16 of my favorite quotes from unknown authors. If you recognize one, make sure to point out who it is from!